We pioneered Bordeaux En Primeur here with the stunning 1982 Vintage, and have been blazing that trail ever since. In the process we've accumulated a wealth of experience and understanding as to what, and what not, to do. All of our wines are shipped by our well-established distribution lines in secure, temperature controlled containers to ensure they arrive in the best condition. Over the years we have put in the hard-yards to search out the greatest fine wines from all corners of the world. 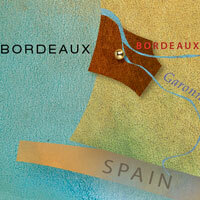 We continue to be New Zealand's leading importer of Bordeaux.